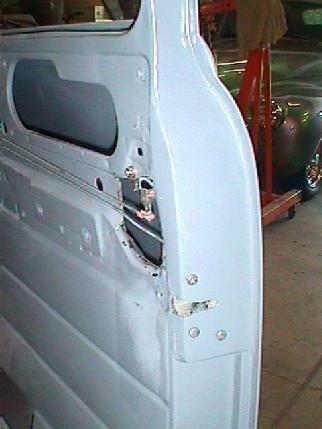 After running across an article on installing Mazda Miata door handles in the June 2002 issue of Truck Builder Magazine, I just had to give it a try. These units are small, compact, and designed to look nostalgic so they are a natural choice if you are looking for something a little different. The good news is that you can hook them up to a modern latch mechanism for added safety and you'll retain all the stock operations. 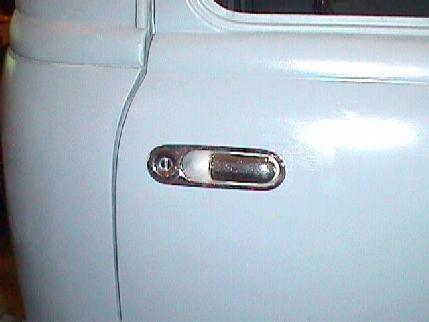 The door can be locked and unlocked with the key from the outside or from the inside with the flip of a finger. Take a look at how easy this installation can be. 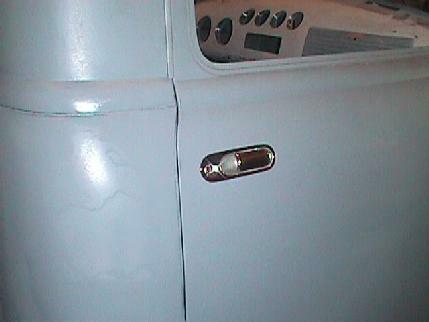 The first thing you need to do is make a mount that welds to the inside of the door. The Miata handle simply bolts to this mount. Next the appropriate sized hole is located in the door. In this case it just happens to be where the stock holes were so only one small patch will be needed to finish the area. 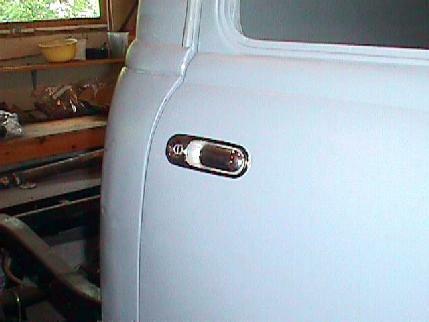 When it comes to the actual door handles, a quick check on e-bay will usually turn up a set for a reasonable price. If you have a good import wrecking yard in your area you should be able to find them there too. These came from e-bay for about $100 including the key. 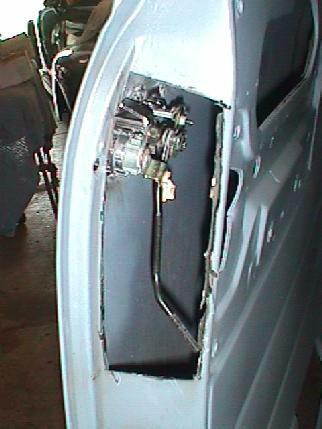 Here you see the mount welded to the door and the Miata handles bolted in position. 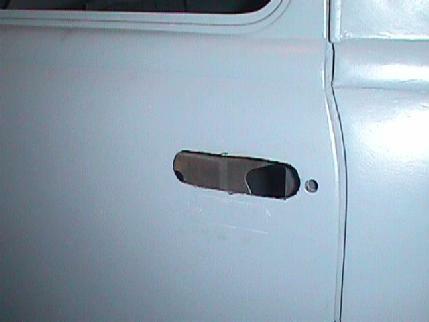 In these old trucks there is little room for latch mechanisms because of the window glass running so close to the rear edge of the door. 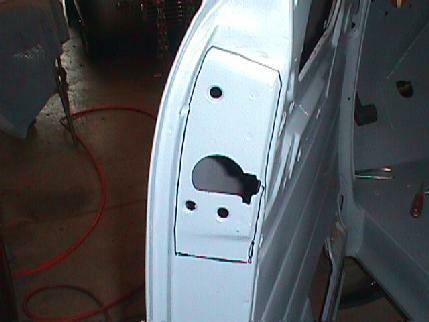 The solution is to cut out the rear edge and extend the area where the latch mechanism will be mounted. 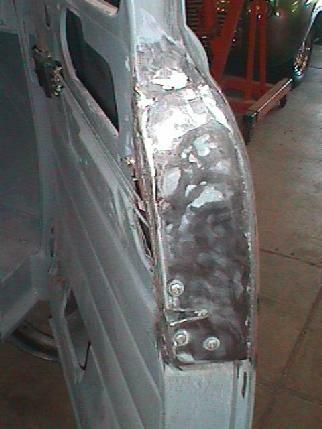 Here the new section has been welded in position and the 1984 Toyota Celica latchs are installed. The whole area was extended about 1/2 inch to make room for the latches. 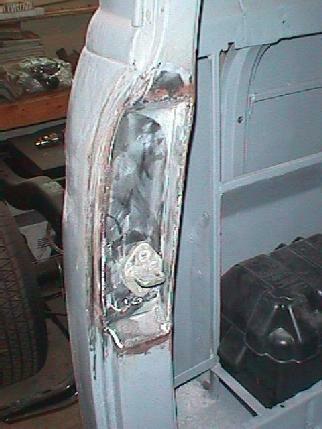 Because the door section was extended the jam area needs to be recessed. It's a simple proceedure to cut out the old jam and weld in a patch to match your extension. 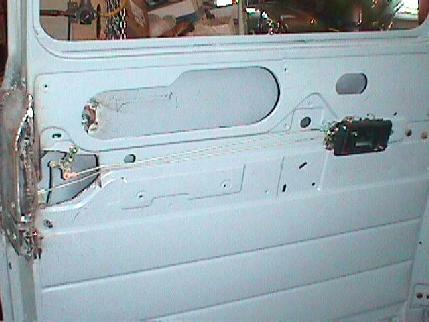 Here you can see the Toyota interior handles and how easy they were to install. 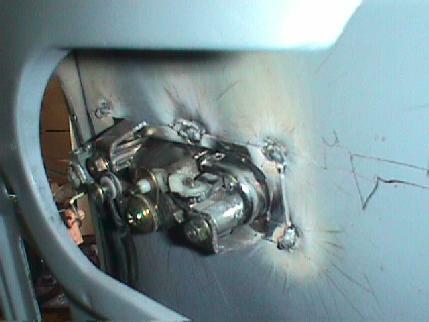 The control rods are simply shortned and hooked to the appropriate locations on the latch. The handle mounts with three screws. There is a small bellcrank for the locking rod but it too can be easily mounted with a single screw. This setup works exactly the way the Toyota engineers designed it. 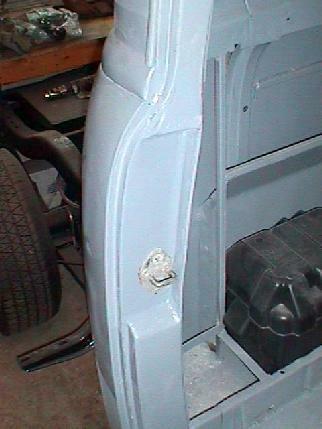 Once the installation is complete and aligned a little body filler cleans things up. The final product primed and ready for final finishing. 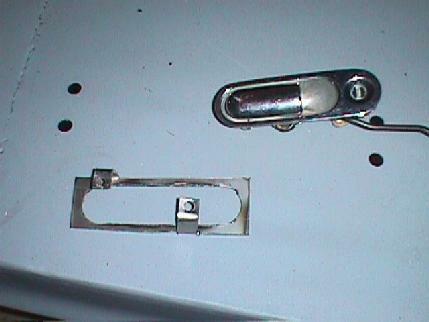 A new yet nostalgic appearance in a modern safe latch. This installation process can also be used for other styles of modern handles. The best thing is that it's not as difficult as you might think.